I recently attended the G20 Labour and Employment Ministers Meeting in Germany on 18-19 May on behalf of the Minister for Employment, Senator the Hon Michaelia Cash. The G20 is at the forefront of addressing major global employment and inclusivity issues. This meeting’s theme was “Towards an Inclusive Future - Shaping the World of Work”. The topic of vocational education and apprenticeships was raised frequently during discussions and I was encouraged by how highly regarded Australia’s VET system is among the international community. Non-binding agreements on priorities to boost female labour force participation. Ministers considered the initial progress towards the G20 female participation goal adopted in 2014, and agreed to guide reforms to improve the quality of women’s jobs. OECD data indicates that many G20 countries, including Australia, are progressing well towards the goal. However, all countries need to continue to either maintain or improve their progress. Fostering labour market integration of refugees and migrants. Ministers noted a range of good practices which can improve the economic and social benefits from legal migration. We discussed reducing barriers to labour market access, providing assistance for job search and training, and enforcing fair and equal working conditions. Improving employment outcomes of global supply chains. Ministers agreed to take action to address abuses and improve working conditions, through protections for low-skilled workers and from exploitation and poor labour standards. Preparing for the future of work. Lastly, Ministers agreed to take further steps to help individuals to prepare for and adapt to change. This focused on strategies to build workforce skills, to facilitate new ways of working, to support job quality and modernise work-related social security systems. I was pleased to be able to attend this forum, which not only is important for vocational education but for Australian economic prosperity overall. On Monday 22 May 2017, Assistant Minister for Vocational Education and Skills, the Hon Karen Andrews MP, launched the USI Transcript Service which allows training participants to easily look up their national training record. The USI Transcript Service uses a student’s Unique Student Identifier (USI) to link together the national records of training that an individual has completed at different training providers, in different states and in different years dating back to January 2015. More than 6 million Australian training participants now have a USI, and over time, the USI Transcript will become an increasingly valuable supplement to the qualification or certification documentation issued by training providers. Individuals may also use this service to provide evidence of their skills when applying for jobs or enrolling for further training. Since the activation of the USI Transcript Service, over 16 000 transcripts have been viewed by individuals/training participants. A wide range of resources such as fact sheets and instructional videos are also currently available for both training providers and students to assist with understanding and accessing the USI Transcript Service. For more information on the USI Transcript Service and a full list of available resources for RTOs, please visit the USI website and click on the Training Organisations tab. Australia’s vocational education & training (VET) sector continues to deliver excellent results and outcomes for its students, industry and the economy at large, according to a new report ‘Perceptions Are Not Reality: myths, realities & the critical role of vocational education & training in Australia’ released by The Skilling Australia Foundation and McCrindle Research. This report addresses some of the many myths surrounding the VET sector and makes the case for continued investment and recognition of the importance of the sector. 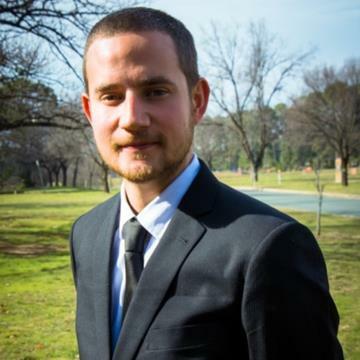 The Skills Canberra branch of the ACT Government has released an outcomes paper on the funding of training products in the ACT. Skills Canberra is responsible and accountable for the provision of strategic direction and overall management of vocational education and training (VET) in the ACT. The outcomes paper determines the ACT Government’s policy position on each of the Training Products available within the Australian VET sector. Skills Canberra previously released a discussion paper on the funding of training products in November 2016. This paper contained questions for discussion and was followed by a consultation period from December 2016 to January 2017. The outcomes paper summarises the outcomes of the consultation period, and provides a number of actions for Skills Canberra to implement over the short to long term. For any additional information on the outcomes paper or Skills Canberra, please contact skills@act.gov.au or call (02) 6205 8555. On Monday 8 May 2017, the Hon Karen Andrews MP, Assistant Minister for Vocational Education and Skills, launched a series of new videos and case studies that highlight good practice VET delivered to secondary students. These resources are now available on the Preparing Secondary Students for Work website, and are a key part of the Australian Government’s commitment to raising the status of VET. The 17 videos and case studies provide a great insight into some of the challenges schools experience in delivering VET, as well as some practical solutions and the opportunities provided for students through strong school, industry and community partnerships. The 10 Australian Apprenticeships Ambassador videos provide personal accounts from young people about what it is like to undertake an Australian School-based Apprenticeship. 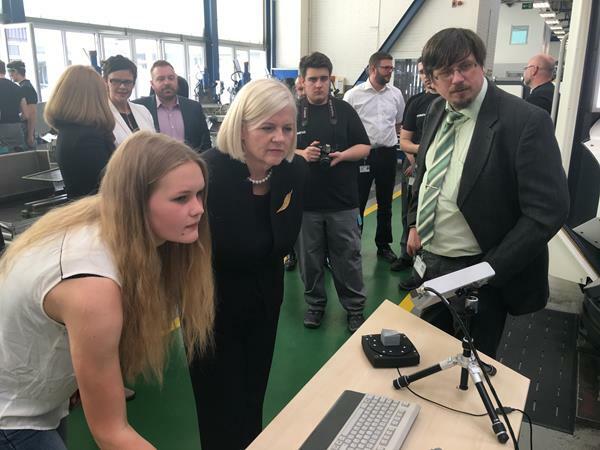 The Ambassadors talk about how they benefited from hands-on experience, support from industry mentors and the opportunity to build networks, which led to further education, training and rewarding careers. These videos and case studies are among resources available on the Preparing Secondary Students for Work website, including the interactive VET self-assessment tool for schools and Career education self-assessment tool for schools. 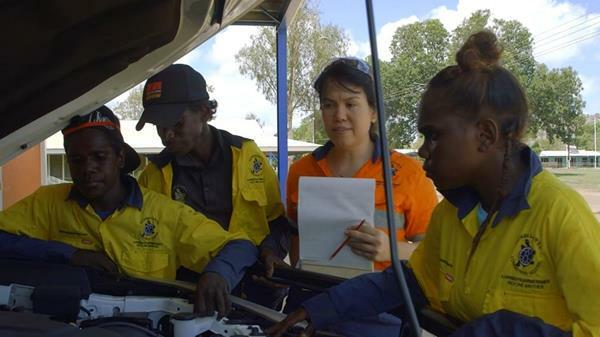 New research by the National Centre for Vocational Education Research (NCVER) examines Indigenous vocational education and training (VET) participation and employment outcomes over the past decade. It finds VET is a preferred post-school learning pathway for Indigenous students, with figures showing a steady increase over 2005 to 2015 in Indigenous students’ participation in higher level qualifications (Certificate III and above). 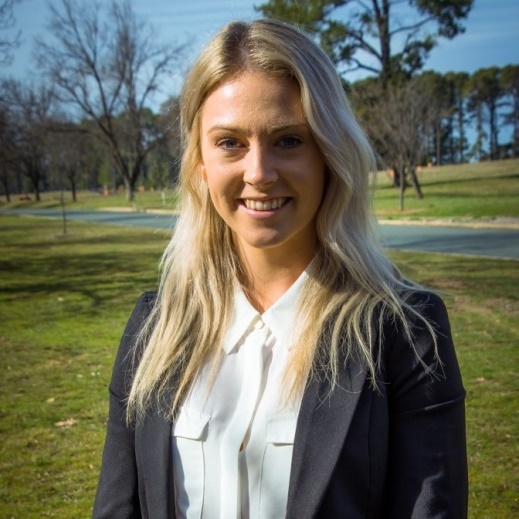 “This shift is a positive sign, as we know from existing research that employment rates are higher for those who gain a Certificate III or higher, showing VET is a key component to closing the gap in employment disparity,” said Jodieann Dawe, National Manager Research and Engagement, NCVER. Survey evidence shows employment outcomes are particularly sound for Indigenous trade and non-trade apprentices who complete their training. Indeed Indigenous trade apprentices who were not employed before training (and are mostly males) are more likely to be employed after training than their non-Indigenous counterparts. A challenge is lifting training completion rates for Indigenous students across all programs of study, including apprenticeships, as rates remain lower than those of non-Indigenous students. This limits options for Indigenous students in further and higher study and employment. Indigenous students living in remote and very remote regions need support to increase their uptake of higher level qualifications and improve program completion and employment rates, all which are lower than other areas. The report, Indigenous VET participation, completion and outcomes: change over the past decade, is available from the NCVER website. Resources to promote VET - available now at your request! 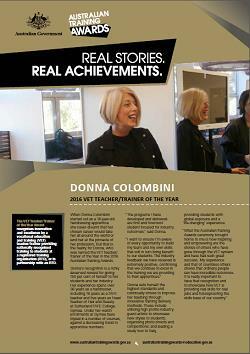 Visit the Australian Training Awards website to download a variety of fact sheets promoting the outstanding achievements of individuals, training providers and businesses involved in VET! With over 190,000 views since their launch in 2012, the Real Stories Real Achievements video series are fantastic testimonials of the benefits of VET from the perspective of individuals, training providers and businesses. We encourage you to watch and share these videos and promote the benefits of VET. This year’s speaker line-up for the TAFE Directors Australia Convention feature global industry leaders including Dame Asha Khemka, Andy Keough and Bernard Salt. The convention runs from 7-8 September 2017 in Adelaide, and the theme is ‘Networked TAFE’. Dame Asha Khemka DBE, Principal and CEO of West Nottinghamshire College Group, UK. There will be much to learn from Dame Asha Khemka’s extraordinary success as Principal and CEO of West Nottinghamshire College Group, now one of the largest Colleges in the UK, with more than 26,000 students. Andy Keough, Chief Executive, Defence SA. Andy will share how Defence SA is developing its workforce with skills for the 21st century. Bernard Salt AM, Social Commentator/Demographer, KPMG Demographics. Bernard will speak on Preparing for jobs of the future: How emerging markets are resetting the Australian workforce agenda. For more information go to the TDA convention website. 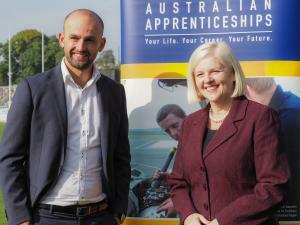 Canberra Institute of Technology graduate and champion Australian off-spin bowler Nathan Lyon has been appointed as an Australian Apprenticeships Ambassador. Affectionately known as Gary, the record-breaking bowler is known for his unusual journey to the top, balancing cricket training while completing a Certificate III in Horticulture (Turf). In 2011, the horticulturalist-turned-international cricketer was employed at the Adelaide Oval as a Curator’s Assistant when his talent for cricket was discovered. Offering himself up as a net bowler in the same nets he had prepared earlier as a groundsman, the finger-spinner caught the eye of the South Australian team coach. Nathan quickly progressed through the ranks, and was playing first class cricket just months later. He now holds the record of being Australia’s most successful off-spinner, and with no signs of slowing, it will be a well-earned title hard to beat. 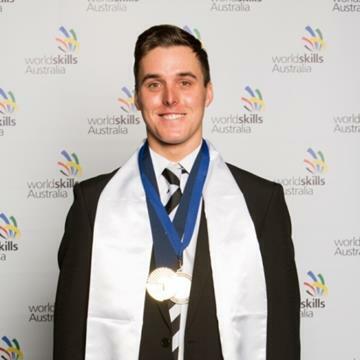 Joining fellow sporting greats in the Ambassador program, Kevin Sheedy and Alan Tongue, Nathan hopes to share his story to show the diversity of opportunities available through a VET qualification. 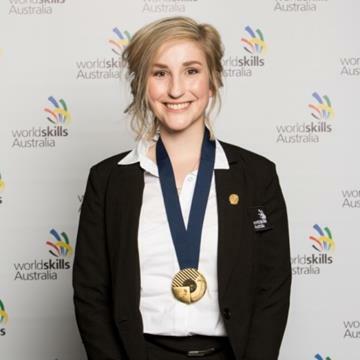 “I’m very grateful for this opportunity to be an Ambassador for Australian Apprenticeships. Watch The Hon Karen Andrews MP welcome Nathan to the program on Manuka Oval. Welcome to the newest members to the Australian Apprenticeships Ambassadors program! Click on their respective names below to read their inspirational stories. If you would like to provide feedback, supply an article for inclusion in the next edition or join our list of subscribers, please email skillsatwork@education.gov.au. The next edition will be published in July 2017. Submissions are due by Monday 19 June 2017.